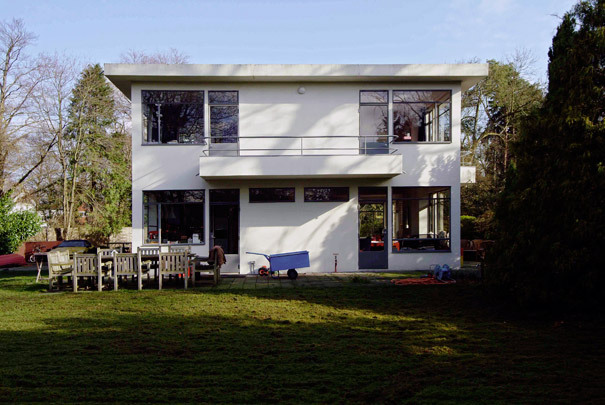 This is the most successful of Elling's villa designs in Hilversum. Its concrete skeleton supports a refined composition of white rendering and slender steel window-frames. Two identical, symmetrical garden facades conceal dissimilar plans; asymmetrical upstairs and symmetrical downstairs behind the south-west facade, and for the south-east the reverse. See also private house Polak and private house Liebert in Hilversum.